The Race takes place on 7 May 2017 (Sunday) in Lublin, Poland. Start time: 9:00 a.m. The detailed route of the Race will be available here. The distance is 42 195 m; the route will be attested by Polish Athletics Association (PZLA). The organizer reserves the right to change the published Race route if, for reasons independent of the Organizer, the Race will not be able to take place on the published route. The time limit is 6 hours. Water points will be located every 2.5 km starting from the fifth kilometre. Isotonic drinkswill be available every 5 km starting from the tenth kilometre. If the weather is hot, there willbe several water curtains along the route. The minimum age of the participants is 18 years on the day of the event. Each participant’s identity must be verified at the Race Office. To successfully complete theverification and receive a start package, the participant must show a valid identity documentwith a photo and date of birth. Each participant must sign a Health Declaration stating that they have no medicalcontraindications to taking part in a marathon. Declarations will be available at the Race Officean on www.maraton.lublin.eu. Alternatively, a medical certificate confirming no medicalcontraindications to taking part in a marathon can be submitted. The participant may authorise a third party to collect the start package on their behalf. Thefollowing will required: (1) an authorisation letter, (2) a photocopy of the front/first page of theparticipant’s identification document (3) a Health Declaration signed by the participant(available on www.maraton.lublin.eu). The authorisation letter must include the following: (1)name of the authorised person and their identification document number, (2) consent for theauthorised person to sign the declaration confirming that the participant has read the RaceRegulations (3) consent for the authorised person to sign the declaration confirming that theparticipant agrees to have their personal data processed for the purposes of the Race. The location of the Race Office will be announced at a later time. When receiving the start package, each participant will be able to verify the data encoded on the chip. The Organiser reserves the right to change the location and working hours of the Race Office. 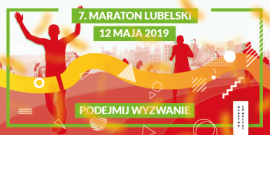 The on-line registration form is available at www.maraton.lublin.eu. The on-line registration closes when the participant limit is reached or on 1 May 2017 (Monday) at 12 am. Between 5 and 6 May 2017 (Friday, Saturday), registration will be possible only at the Race Office between 12:00 (Friday) noon and 9:00 pm (Saturday) (provided that the participant limit has not been reached). To complete the registration process, the participant is required to: (1) submit a registrationform (on-line or at the Race Office), (2) submit a signed Health Declaration, and (3) pay theentry fee (unless they are exempt). If you register without making an instant payment and theparticipant limit is reached before your payment arrives, you are not guaranteed participation. The participant limit is 2000. The Organiser reserves the right to change the limit and to closethe registration process as soon as the limit is reached. The 5. 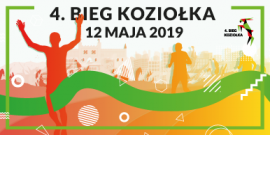 Lublin Marathon entry fee depends on the date of payment (the date when thepayment is credited to the Organiser’s account). • from 5 May 2017 to 6 May 2017 – PLN 120 (at the Race Office, cash only. In this case the Organizer cannot ensure a complete start package). The participants who will be at least 65 years old on 7 May 2017 are exempt from the entryfee provided that the registration of participation occurred before 9 April 2017. The participants who, on 7 May 2017, will be 60 years of age are entitled to a 50% discounton the entry fee provided that they register their participation in the race and make a payment before 9 April 2017. When collecting the start package, the participant must show an identification documentwith a photo, date of birth, and, if applicable, a document confirming their right to the discounton the entry fee. • free accommodation in the sports hall.